John Hurlbut Woodruff died January 18, 2019 at his home in Wilmore, KY. Funeral services will be at 11:30 am on Thursday, January 24, at Estes Chapel, Asbury Theological Seminary, in Wilmore with the Rev. Jessica LaGrone officiating, with interment to follow at Bluegrass Memorial Gardens. Serving as pallbearers are Barry Tait, Edwin Tait, Jonathan "John" Woodruff, Vladyslav Vitel, Yehor Vitel, and Gary Storey. Honorary pallbearers are Eugene Woodruff, Frank Stanger, Jr., Alan Beuscher, James Bortell, David Alberts, Walter Carlson, Gregory Girard, Doug Stone, Richard Van Giesen, and the clergy of the Illinois Great Rivers Annual Conference of the United Methodist Church.The family will receive visitors from 10:00-11:00 am at Estes Chapel. John Hurlbut Woodruff was born February 6, 1935 in Kalamazoo, Michigan to Eugene Hurlbut and Esther Teeters Woodruff. He attended the public schools of Kalamazoo and then the University of Michigan, where he majored in chemistry and played sousaphone in the marching band. Upon graduation in 1957, he served in the Army from 1957-1959, honorably discharged with the rank of first lieutenant. He moved to Hammond, Indiana to work for Union Carbide as a chemist, where he met Marilyn Stanger. They were married on July 10, 1965 in Estes Chapel by her father, the president of the seminary. In 1968, John and Marilyn moved to Wilmore so that he could attend Asbury Theological Seminary. He graduated with an M.Div. in 1970 and entered the pastorate of the United Methodist Church, ordained deacon in 1970 and elder in 1972. He served at Jonesboro UMC (Jonesboro, IN), First UMC (Mishawaka, IN), Calvary UMC (Fort Wayne, IN) and Metropolitan UMC (Detroit, MI). 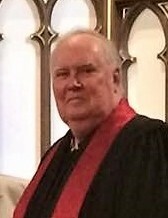 In 1984 he became the treasurer and business administrator of the Central Illinois (later Illinois Great Rivers) Conference of the UMC and moved to Bloomington, IL. He served in this position until his retirement in 2001. Marilyn predeceased him in 2008, and in 2015 he relocated to Wesley Village in Wilmore. Surviving are daughter, son-in-law, and granddaughters Jennifer, Edwin, Catherine, and Elizabeth Woodruff Tait of Richmond, KY; son, daughter-in-law, and grandson Jonathan, Melissa, and William Woodruff of Crozet, VA; brother, Eugene Woodruff, of Annandale, VA; and sister, Lila Woodruff May, of Newcastle, WA. One brother, William, preceded him in death. John loved music, his family, his alma maters, Michigan sports teams, golf, and the United Methodist Church. Memorial contributions may be made to the Frank Bateman Stanger Chair of Pastoral Care and Counseling at Asbury Theological Seminary or to the University of Michigan. Hager & Cundiff is honored to be chosen to care for the Woodruff family. This obituary was lovingly submitted by the family. Go to "Supporters." Designate to the "Stanger Chair".